John M. Kelley, PhD, is Deputy Director of the Program in Placebo Studies & the Therapeutic Encounter, Professor of Psychology at Endicott College, a faculty member at Harvard Medical School, and a licensed clinical psychologist in the Psychiatry Service at Massachusetts General Hospital. He also maintains a private practice in general psychotherapy. John earned a bachelor’s degree with high honors from Harvard University, and MS and PhD degrees in Clinical Psychology from the University of Oregon. 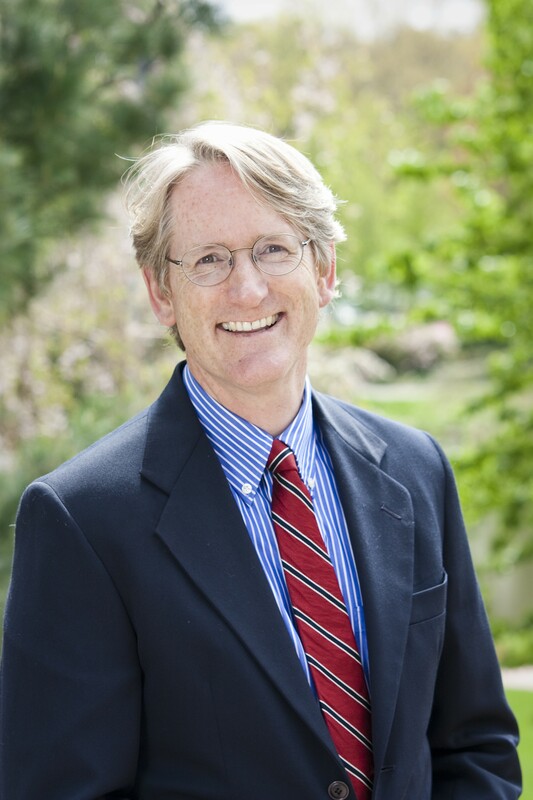 In addition to his expertise in psychotherapy, John has a significant background in statistics, research design, and psychometric measurement and he has served as a co-investigator or consultant on eight National Institutes of Health (NIH) research grants. Kelley, J. M., Kaptchuk, T. J., Cusin, C., Lipin, S., & Fava, M. (in press). Open-label placebo for major depressive disorder: A pilot randomized controlled trial. Psychotherapy and Psychosomatics. Riess, H, Kelley, J. M., Bailey, R. W., Dunn, E. J., & Phillips, M. (2012). Empathy training for resident physicians: A randomized controlled trial of a neuroscience-informed curriculum. Journal of General Internal Medicine. Wechsler, M. E., Kelley, J. M., Boyd, I. O. E., Dutile, S., Marigowda, G., Kirsch, I., et al. (2011). Active or placebo albuterol, sham acupuncture or no treatment in asthma. New England Journal of Medicine, 365(2), 119-126. Wechsler, M. E., Kelley, J. M., & Kaptchuk, T. J. (2011). Placebo and other interventions in asthma: Author’s reply. New England Journal of Medicine, 365(15), 1446-1448. Kerr, C. E., Shaw, J. R., Conboy, L. A., Kelley, J. M., Jacobson, E. E., & Kaptchuk, T. J. (2011). Placebo acupuncture as a form of ritual touch healing: A neurophenomenological model. Consciousness and Cognition, 20(3), 784-791. Riess, H., Kelley, J. M., Bailey, R. W., Konowitz, P. M., Gray, S. T. (2011). Improving empathy and relational skills in otolaryngology residents: A pilot study. Otolaryngology: Head and Neck Surgery, 144(1), 120-122. Conboy, L. A., Macklin, E. A., Kelley, J. M., Kokkoto, E., Davis, R. B., & Kaptchuk, T. J. (2010). Which patients improve: Characteristics increasing sensitivity to a supportive patient-practitioner relationship. Social Science and Medicine, 70(3), 479-484. Cremonini, F., Ziogas, D. C., Chang, H. Y., Kokkotou, E., Kelley, J. M., Conboy, L., et al. (2010). Meta-analysis: the effects of placebo treatment on gastro-oesophageal reflux disease. Alimentary Pharmacology & Therapeutics, 32(1), 29-42. Dahlin, C. M., Kelley, J. M., Jackson, V. A., & Temel, J. S. (2010). Early palliative care for lung cancer: Improving quality of life and increasing survival. International Journal of Palliative Nursing, 16(9), 420-423. Dolinsky, B., & Kelley, J. M. (2010). For better or for worse: Using an objective program assessment measure to enhance an undergraduate psychology program. Teaching of Psychology, 37(4), 1-5. Kaptchuk, T. J., Friedlander, E., Kelley, J. M., Sanchez, M. N., Kokkoto, E., Singer, J. P., et al. (2010). Placebos without deception: A randomized controlled trial in irritable bowel syndrome. PLoS One, 5(12), e15591. Kelley, J. M. (2010). Authors’ reply. Focus on Alternative and Complementary Therapies, 15(2), 151. Kokkoto, E., Conboy, L. A., Quilty, M. T., Kelley, J. M., Davis, R. B., Lembo, A. J., et al. (2010). Serum correlates of the placebo effect in Irritable Bowel Syndrome. Neurogastroenterology and Motility, 22(3), 285-e281. Lable, I., Kelley, J. M., Ackerman, J. A., Levy, R., Waldron, S., & Ablon, J. S. (2010). The role of the couch in psychoanalysis: Proposed research designs and some preliminary data. Journal of the American Psychoanalytic Association, 58(5), 861-887. Boulos, P. R., Kelley, J. M., Falcao, M. F., Tremblay, J. F., Davis, R. B., Hatton, M. P., et al. (2009). In the Eye of the Beholder – Skin Rejuvenation with an LED Photomodulation Device. Dermatologic Surgery, 35(2), 229-239. Kaptchuk, T. J., Shaw, J., Kerr, C. E., Conboy, L. A., Kelley, J. M., Csordas, T. J., et al. (2009). Maybe I made up the whole thing: Placebos and patients’ experiences in a randomized controlled trial. Culture, Medicine, and Psychiatry, 33, 382-411. Kelley, J. M., Boulos, P. R., Kaptchuk, T. J., & Rubin, P. A. D. (2009). Mirror, mirror on the wall: Placebo effects that exist only in the eye of the beholder. Journal of Evaluation in Clinical Practice, 15, 292-298. Kelley, J. M., Lembo, A. J., Ablon, J. S., Villanueva, J. J., Conboy, L. A., Levy, R., et al. (2009). Patient and practitioner influences on the placebo effect in irritable bowel syndrome. Psychosomatic Medicine, 71(7), 789-797. Lembo, A. J., Conboy, L. A., Kelley, J. M., Schnyer, R. S., McManus, C., Quilty, M. T., et al. (2009). A treatment trial of acupunture for IBS patients. American Journal of Gastroenterology, 104(6), 1489-1497. Passos, M. C. F., Lembo, A. J., Conboy, L. A., Kaptchuk, T. J., Kelley, J. M., Quilty, M. T., et al. (2009). Adequate relief in a treatment trial with IBS patients: A prospective assessment. American Journal of Gastroenterology, 104(4), 912-919. Kaptchuk, T. J., Kelley, J. M., Conboy, L. A., Davis, R. B., Kerr, C. E., Jacobson, E. E., et al. (2008). Components of placebo effect: Randomized controlled trial in patients with Irritable Bowel Syndrome. British Medical Journal, 336, 998-1003. Kaptchuk, T. J., Kelley, J. M., Deykin, A., Wayne, P. M., Lasagna, L. C., Epstein, I. O., et al. (2008). Do “placebo responders” exist? Contemporary Clinical Trials, 29(4), 587-595. Kelley, J. M. (2008). The perils of p-values: Why tests of statistical significance impede the progress of research. In J. S. Ablon & R. Levy (Eds. ), Handbook of Evidence-Based Psychodynamic Psychotherapy: Bridging the Gap Between Science and Practice (pp. 367-378). Totowa, New Jersey: Humana/Springer Press. Kelley, J. M. (2008). The Relation between Motivational Concordance and Response Expectancy. Journal of Psychosomatic Research, 65(5), 415-416. Kerr, C. E., Shaw, J. R., Wasserman, R. H., Chen, V. W., Kanojia, A., Bayer, T., & Kelley, J. M. (2008). Tactile acuity in experienced Tai Chi practitioners: Evidence for use dependent plasticity as an effect of sensory-attentional training. Experimental Brain Research, 188(2), 317-322. Blais, M. A., Kelley, J. M., & Holdwick, D. J. (2001). The perceived clarity and understandability of the DSM-IV personality disorder criteria sets. Comprehensive Psychiatry, 42, 466-470. Hatton, M. P., Kelley, J. M., & Rubin, P. A. D. (2006). Symmetry in healing after bilateral eyelid surgery. Ophthalmic Plastic and Reconstructive Surgery, 22(4), 266-268. Kelley, J.M. (2002). A Dialectical Approach to the Treatment of Borderline Personality Disorder. Practical Reviews in Psychiatry, 26. Kelley, J.M. (2004). What does statistical significance really mean? Practical Reviews in Psychiatry, 28. Luu, P., Kelley, J. M., & Levitin, D. J. (2001). Consciousness: A preparatory and comparative process. In P. G. Grossenbacher (Ed. ), Finding Consciousness in the Brain: A Neurocognitive Approach. Amsterdam: John Benjamins. Wolfe, J., Kelley, J. M., Bucsela, M., & Mark, W. (1992). The Fort Devens Reunion Survey: Report of Phase I [Report submitted to U.S. Congress]. Washington, DC. Wolfe, J., Brown, P., & Kelley, J. M. (1983). Reformulating war stress: Exposure and the Persian Gulf. Journal of Social Issues, 49, 14-31.